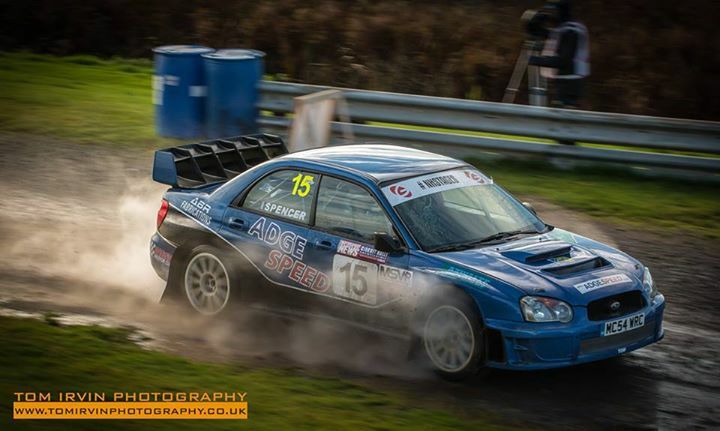 November 7th 2015 and the day has finally arrived for Adrian Spencer to debut his recently acquired Adgespeed backed Subaru Impreza WRC S11 on the Neil Howard Memorial Stages Rally held at Oulton Park. 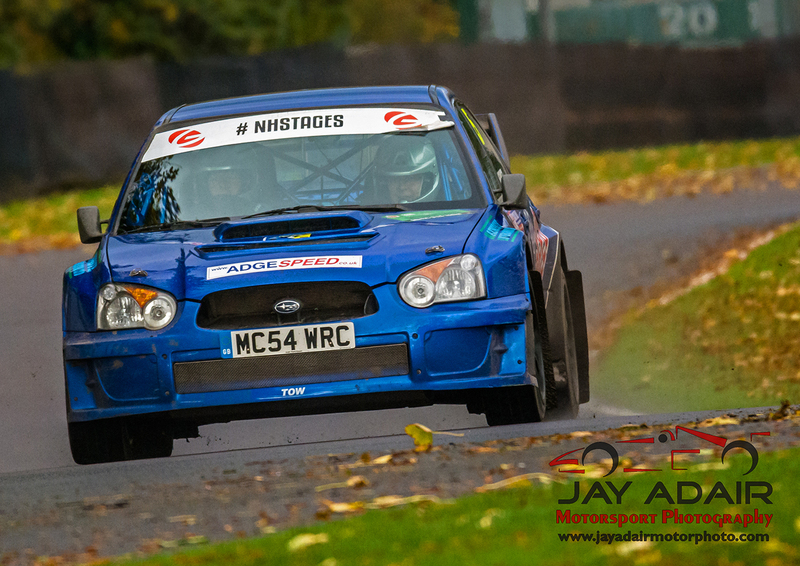 Having decided to step up from his very successful B13 class Impreza, in which he finished 5th O/A and 1st none WRC car on last years event, Adrian was hoping for better things, but only having driven the car for the 1st time the day before at a small sprint circuit, it was in at the deep end. 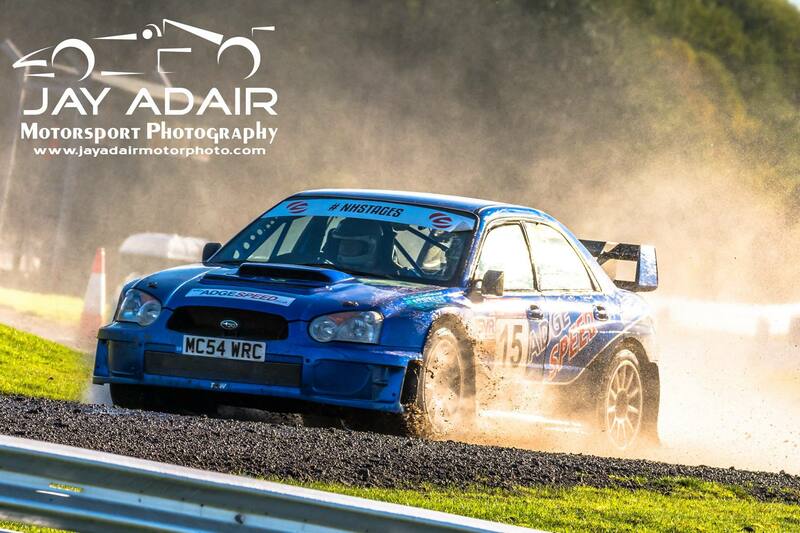 The rally was also the 1st round of the MSA Circuit Rally championship and had attracted a top quality entry with 3 other Subaru WRC's, Ford Focus and Fiesta WRC's, Fiesta R5's and Skoda R5. 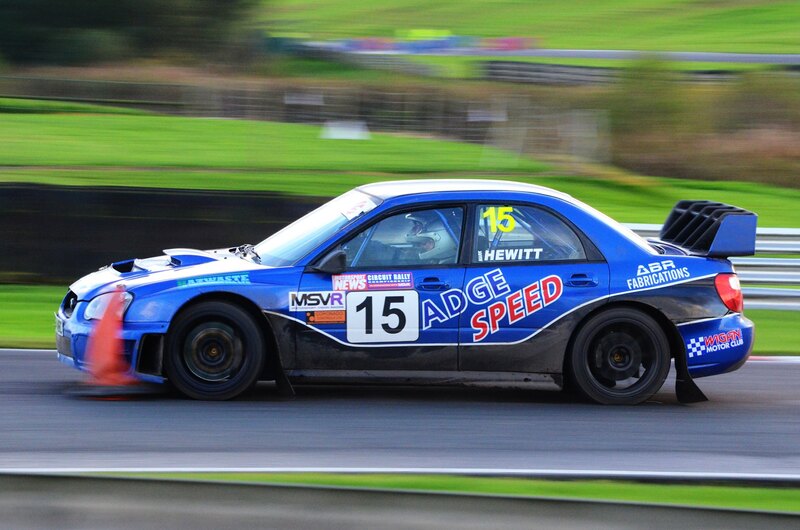 The day started out wet and with Mark Hewitt back on the notes they had been seeded at car 15. A cautious start as Adrian started getting to grips with left foot braking, paddle shift gear changing, Launch Control etc and 9th O/A was a good start to the day. A small mistake on stage 2 causing them to lose time when sliding wide on a very slippery 90 right on the outfield track which was more like forest rallying than tarmac, but the time was 19 seconds quicker. Stage 3 included the infamous water splash, which had been lengthened for this year and starting to get to grips with the car, Adrian 2nd fastest time with leader Kevin Proctor and took 2 out of Steve Simpson in there respective Impreza WRC's, this great run moved Adrian and Mark up into 5th O/A Stage 4 was a repeat of 3 and setting joint 4th quickest time kept them in joint 5th. Stages 5 and 6 were run the opposite way round and used the rough/loose tarmac opposite the pit straight and had the poorly named O-deer leap which due to its position meant that the cars hardly left the ground, fortunately the crew of car 77 Gary Farrant/ Neil Thomas were lucky to escape serious injury when they went off on the crest and several fence posts went into the car. Again with a 6th quickest on stage 5 and 3rd quickest on stage 6 and the loss of Neil Simpson in the Skoda R5 due to a holed radiator Adrian and Mark moved up to 3rd O/A and with Steve Simpson getting his foot down he moved up to lead the rally. With the weather drying, Adrian was struggling with the starts as due the short straights off the start into a 90 left or 90 right he wasn't confident to use the Launch Control and started stalling the car off the startline costing several seconds and then to really mess the stage up, they caught the previous car 10 the Ford Focus WRC of Nigel Mummery going into the water splash which virtually stopped on the exit causing Adrian to stall and take several attempt to get going again dropping 10-15 seconds in the process. 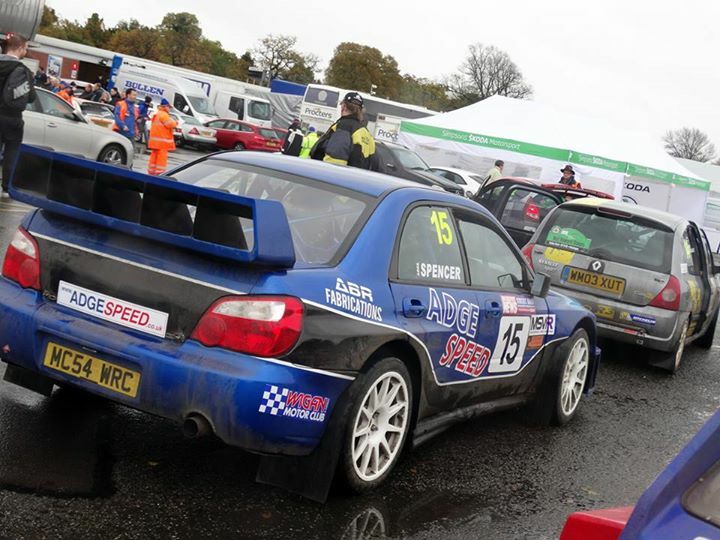 This dropped them to 4th O/A just 3 seconds behind Graham Coffey in his Ford Fiesta WRC. With Steve Simpson and Kevin Proctor out in front, Adrian and Mark set off on stage 8 on a mission and with 2nd quickest time took 5 seconds back off Coffey to move back into 3rd O/A by 3 seconds. With 1 stage to go it, which was just 1 lap of the circuit and in the dark, it was all to play for to try and maintain the position over Coffey who would be going for it. At least the start went well as Adrian got a clean start, but then nearing the end of the stage they caught the car in front car 9 of James Sharrock who was going slowly with a problem and as they went to pass on the sweeping uphill of cascades, Sharrock moved across and took the racing line causing Adrian to brake costing a few more seconds before getting past to end the stage. 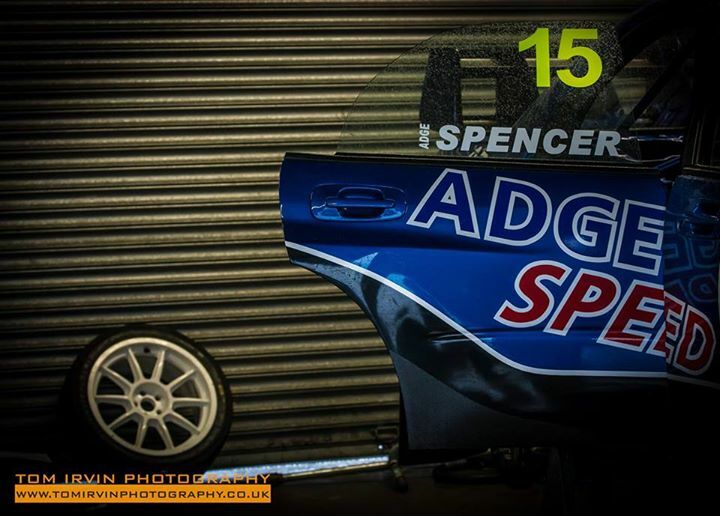 Thinking that was it and 4th place was going to be the result, Adrian and Mark were over the moon to find that Graham Coffey although setting the fastest time only took 1 second back as Adrian managed to still set the 2nd quickest time.